The UK government has confirmed that smart port developments are a key part of future maritime strategy and will be led by industry with government support. 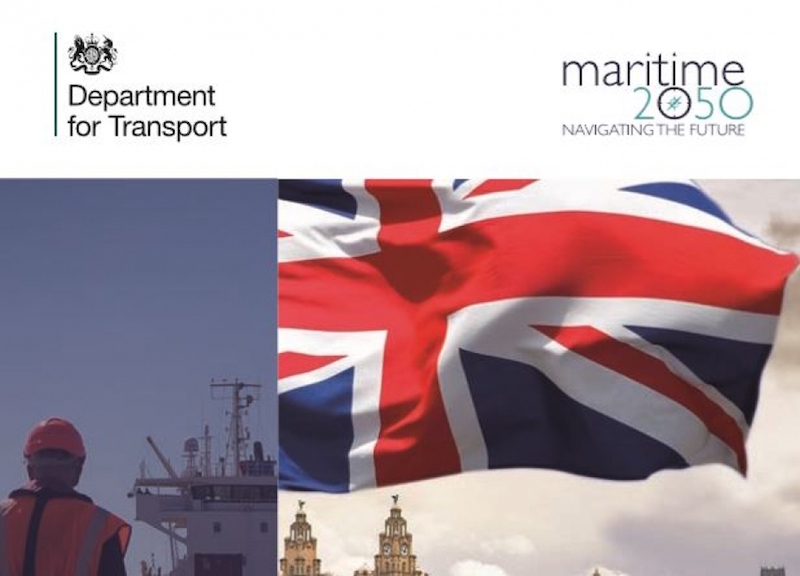 Outlining its port-focused plans in the ‘Maritime 2050’ report, the Department for Transport said that emphasis will be placed on developing existing technologies alongside new ideas, with an innovation hub to support this. “Joint competitions to develop existing technologies, test new ideas, combined with the establishment of a cross-sector innovation hub at a UK port by 2030, will encourage innovation and the adoption of these technologies. Building on this expertise to further develop a network of regional R&D clusters will benefit local economies into the future,” stated the report. Looking at ways to more to effectively compete globally, the report noted that developing new innovative customs arrangements is an example of an area that could be used to encourage investment in the UK’s ports and manufacturing hubs. It also announced that the government will engage with the ports and the manufacturing industry to consider the case for free ports in the UK. Data analytics, digitalisation, and automation are among the drivers which the government expect will influence maritime infrastructure. Government will implement a targeted programme of Port Economic Partnerships, for ports meeting specific scheme and success criteria, leveraging the maximum benefits from both government and industry investments. Diversification into new activities and business models is also anticipated and the government plan to incentivise innovation, work with ports to support R&D, foster partnerships with SMEs and encourage UK testing of new technologies. Decisions will also be more closely aligned with developments in shared technology platforms. Ports have a responsibility to plan for climate change and work on finding ways to manage the problems that climate change could bring, the DoT said. In the next 5-15 years the UK government will aims for at least one major port in the UK to have zero-emissions across all its ship-side activity, it added, but did not specify which ports are being considered. He noted a “lack of specific funding for some projects” but supported the government’s implementation of the Port Connectivity Study in England and the new Port Economic Partnerships. “We hope that these partnerships will offer a vehicle for turning the industry’s Port Enterprise and Development Zones into reality,” he added.